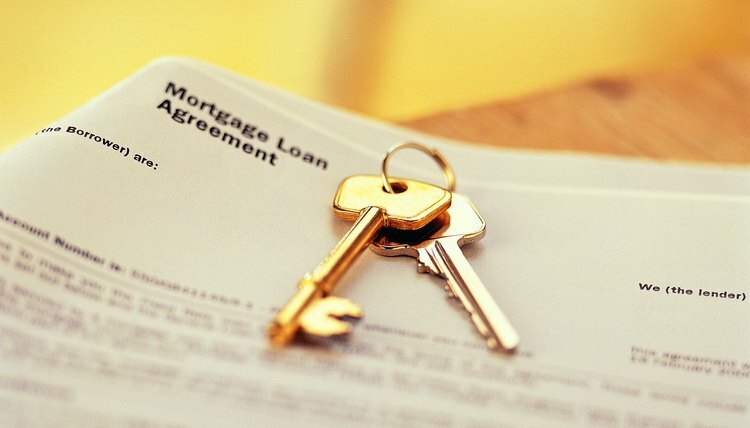 The act of assuming a mortgage involves one person taking over another person's mortgage. Typically, the person who assumes the mortgage will also take ownership of the property. The mortgage terms will include a clause indicating that the mortgage is either assumable or not assumable. If the mortgage is assumable, the person taking over the mortgage will be subjected to the same terms as the original mortgage holder. In other words, the terms of the mortgage and interest rate typically remain the same. The principal is the person granting someone else the power to conduct real estate transactions on her behalf using a power of attorney. The language in the power of attorney will include a specific clause or wording that allows the agent to handle real estate transactions. Some powers of attorney are specifically intended to grant an agent the power to transact real estate. The person who assumes the mortgage is liable for the debt. Therefore, if the agent assumes a mortgage on the principal's behalf, the principal will be liable for the debt, not the agent. The agent may also allow a third party to assume a mortgage originally held by the principal. In that case, the third party would be liable for the debt, not the principal or agent. The agent is charged with a fiduciary responsibility to act in good faith on behalf of the principal. In other words, the agent has a duty to make decisions under the power of attorney that are in the principal's best interest. Therefore, the agent may assume a mortgage on behalf of the principal only when it benefits the principal in some way. Traverse City Record-Eagle: Can Someone Take Over Your Mortgage Payments? Bankrate.com: Will Assumable Mortgage Solve Crisis? What Are the Duties of Power of Attorney? A power of attorney is a legal document that allows one person to act for another person, but the authority comes with duties and responsibilities. The giver of the authority is known as the principal, while the receiver is referred to as an agent. The agent has both a legal duty to the principal and the duties granted by the power of attorney document. The power of attorney doesn't so much grant rights as powers. Under a power of attorney arrangement, one person -- known as the principal -- grants an agent the power to perform legal acts on his behalf. This grant of authority may be broad or narrow, and it may be of temporary or indefinite duration. A power of attorney must be in writing and signed by the principal to be valid.